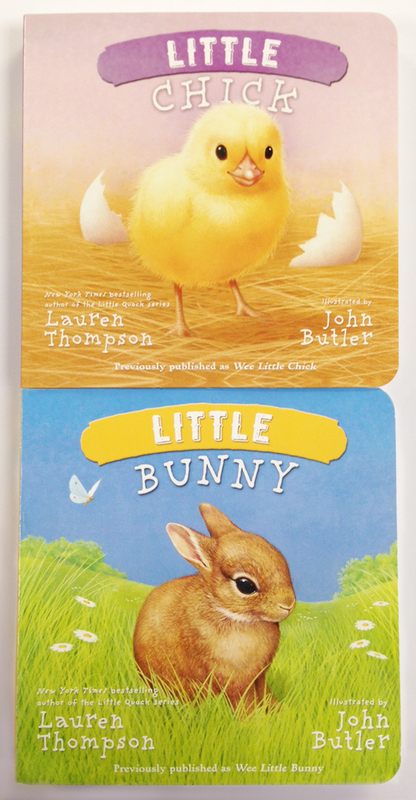 It’s double the cuteness with these two animal-filled board books from New York Times bestselling author Lauren Thompson, available in one adorable package. This set of two charming board books shrinkwrapped against a backer card makes a great gift! Little Chick may be the smallest chick on the farm, but she doesn’t know it. What she does know is that she can chirp the loudest, eat the most, and stand the tallest. And she’s proud of it too! Little Bunny has trouble sitting still. He just can’t seem to stay in one place long before he has to hop, hop, hop off and play. But when his mama helps him calm down, he gets to tell her all about his busy day! These sturdy board books feature sweet text with warm and vivid illustrations, making them perfect for even the youngest of readers!